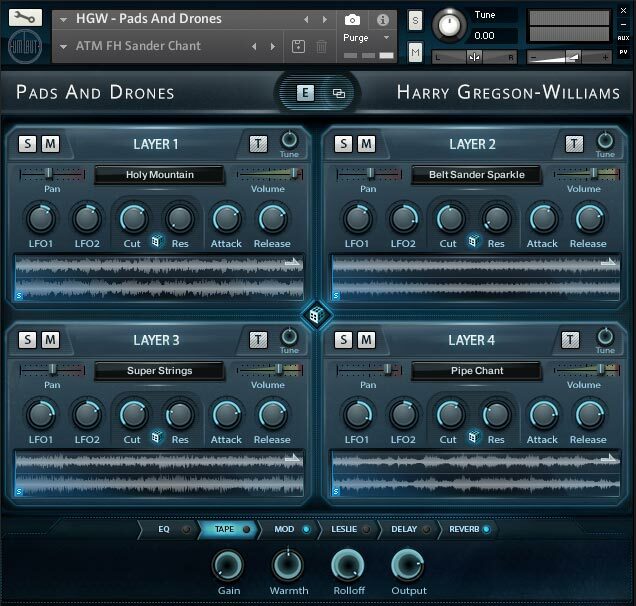 Harry had a large collection of custom sounds stored in the form of sustained sounds like pads, drones and textures. His original workflow was to drag the sounds from various folder in his DAW but he was looking for a more playable solution and having everything categorized in one place. An Edit Window for additional deeper Sound source editing, FX Parameters and Controls on a second tab. We also added a File Browser Selection window where each layer had a clickable sound source selector in a new window, sorted in categories. Harry needed to be able to make pulses from his pads/drones, so we added a filter section so he could create rhythmic patterns with ease. When we finished the project, we had edited and organized all the sound source files, and designed ready to use presets. We had also developed KSP scripts, GUI design and implemented our creations.